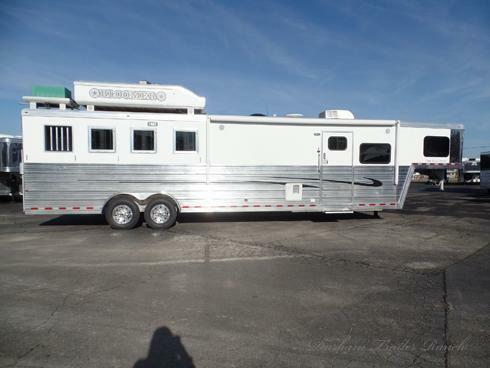 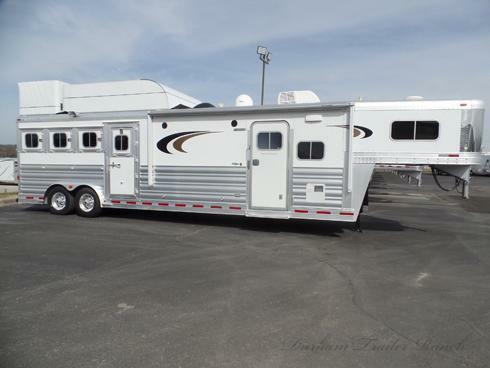 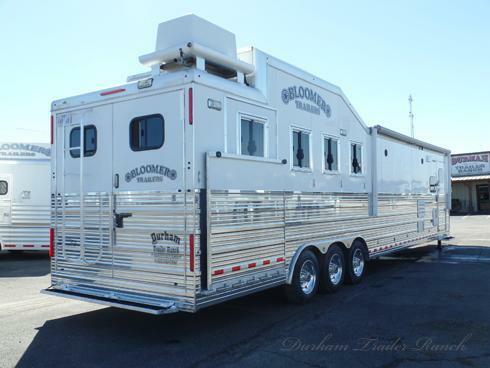 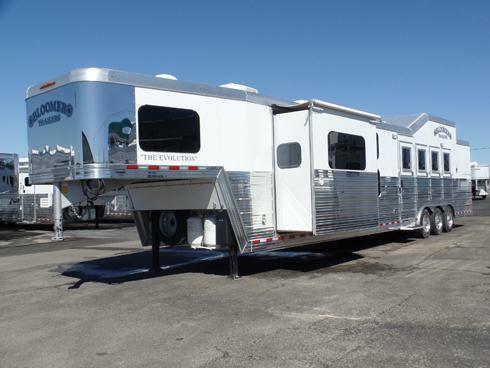 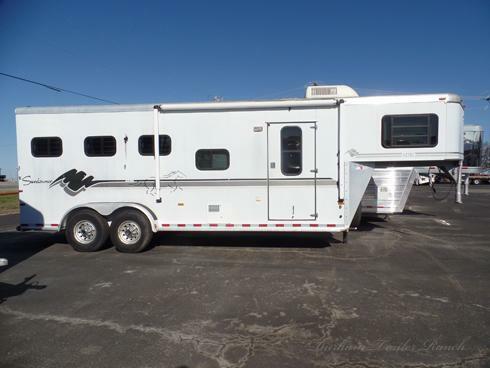 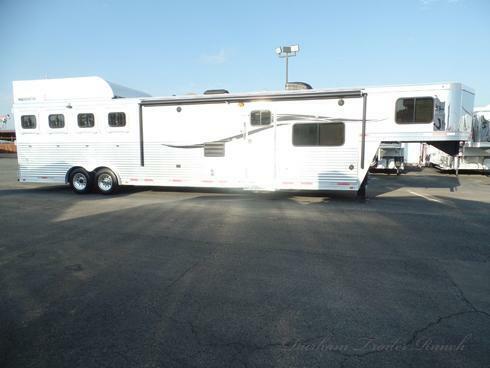 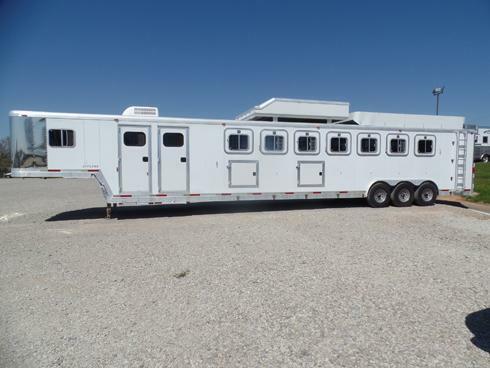 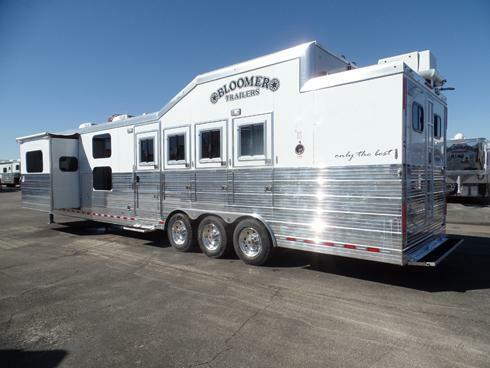 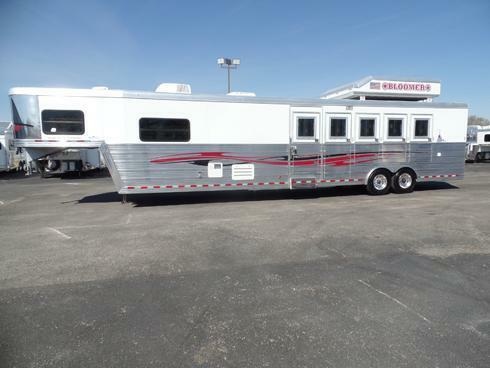 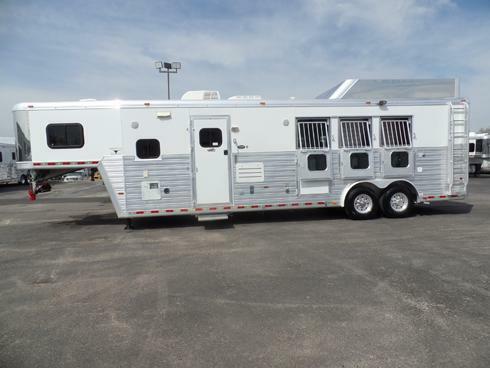 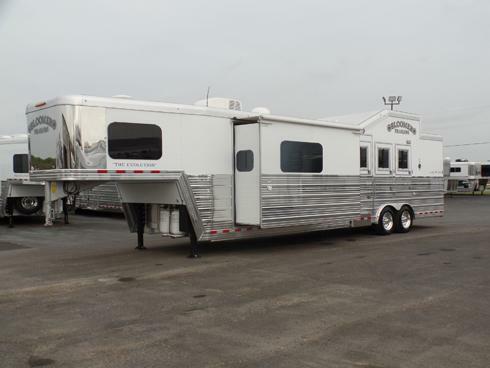 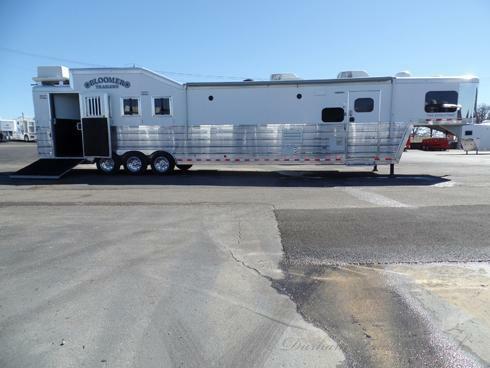 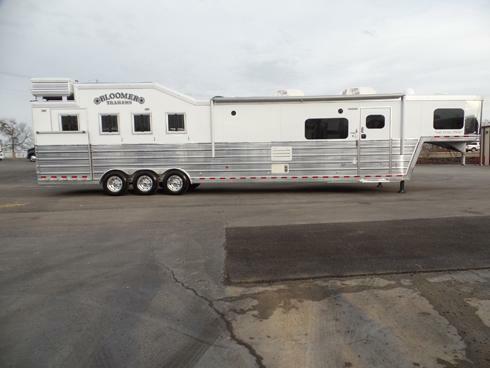 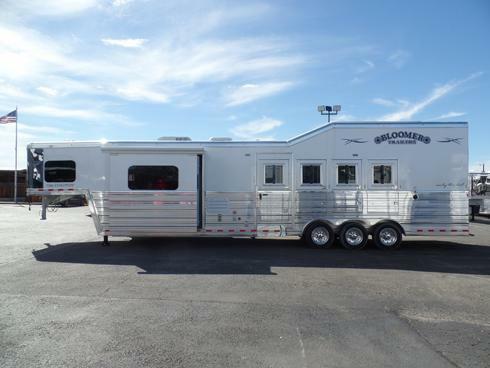 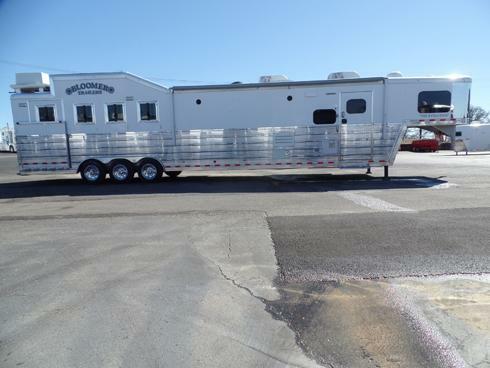 2016 Bloomer 4 Horse PC Side Load with Extended Width Ramp and 17.5' Short Wall. 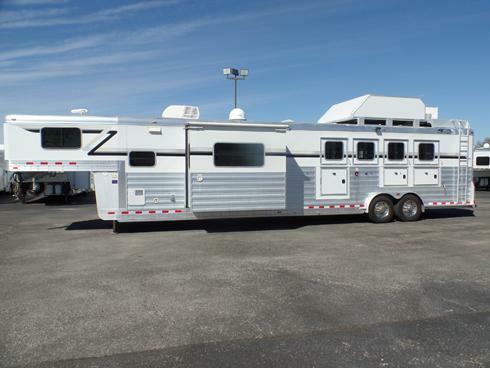 Roof Mounted Onan 7K Generator, 20' Awning, and 8' Integrated Hay Pod. 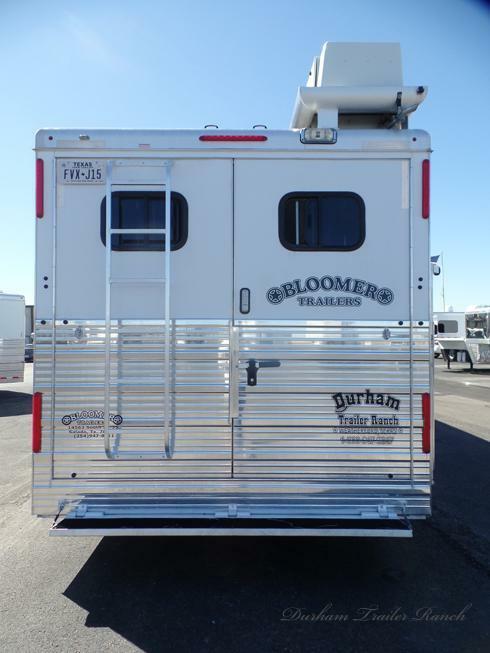 Full Rear Tack with Combination Dead Bolt, 4 Tier Saddle Rack, 4 Blanket Bars, 2 Brush Trays, Splint Boot Bars, and 15 Bridle Hooks. 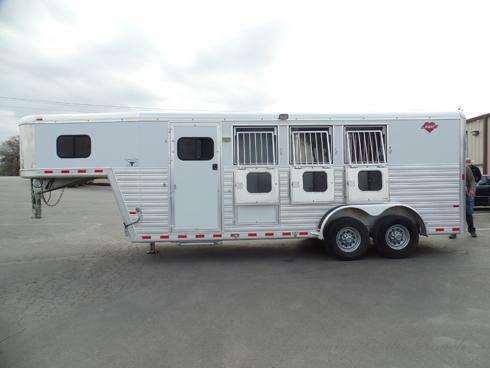 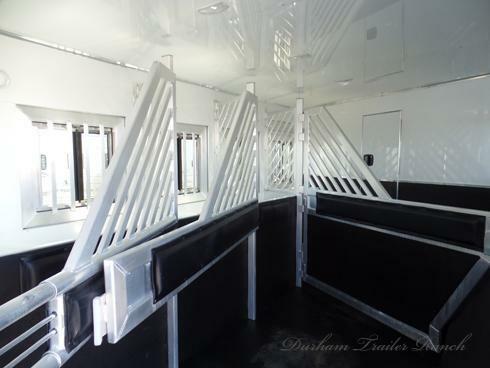 Drop Windows on Head and Hip Sides, Stud Divider, Mangers, Bulk Head Door, Escape Door, and Lined/Insulated Horse Compartment. 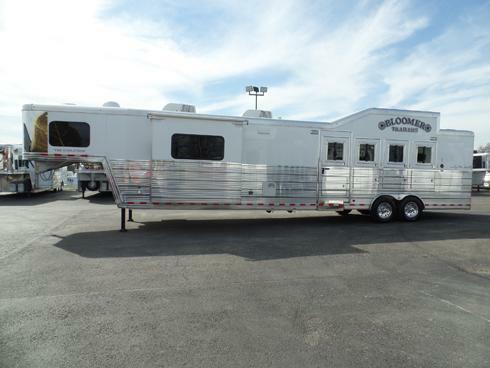 Triple 7K Heavy Duty Axles with Hydraulic/Drum Brakes and 17.5" Alcoa Aluminum Wheels. 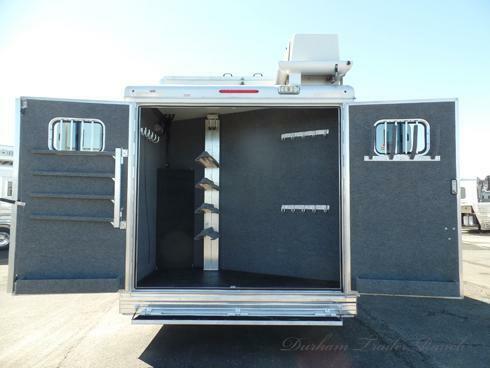 50 Amp Service, Dual Hydraulic Jacks, Dual 30# Propane, and 3 Batteries. 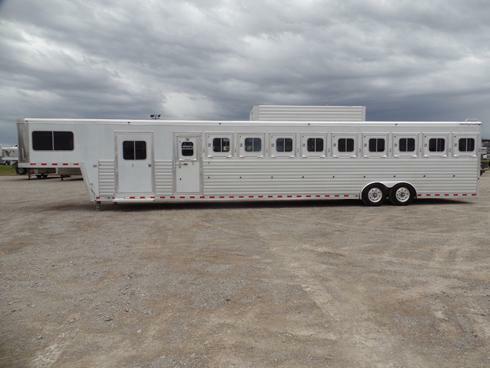 8' Wide, 7'6" Tall, 36'8" Box Length. 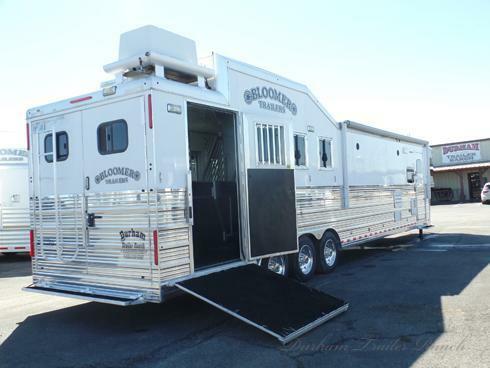 Outlaw Conversion with a 17.5' Short Wall and 6' Hydraulic Slide. 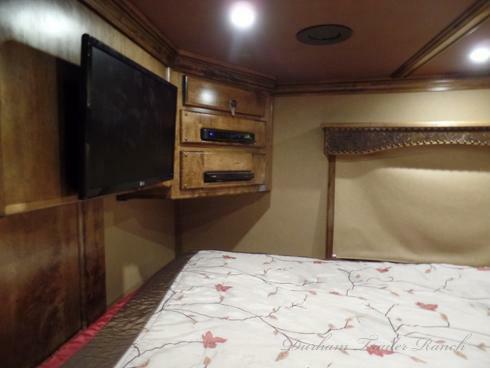 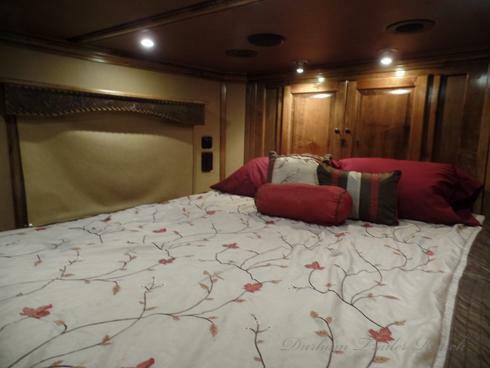 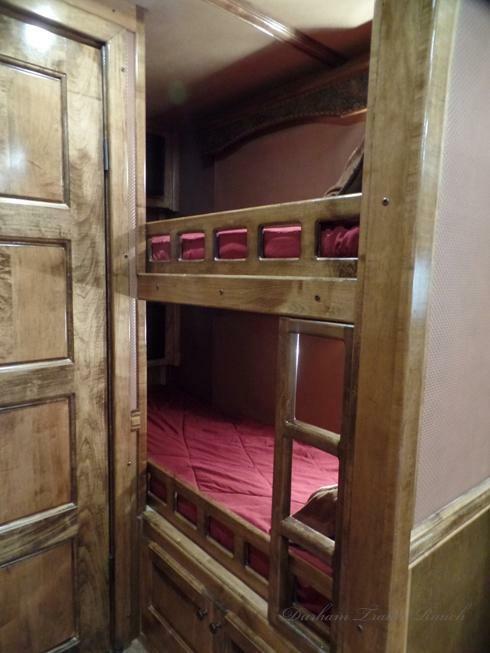 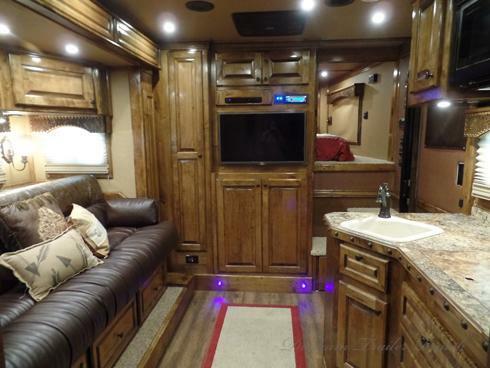 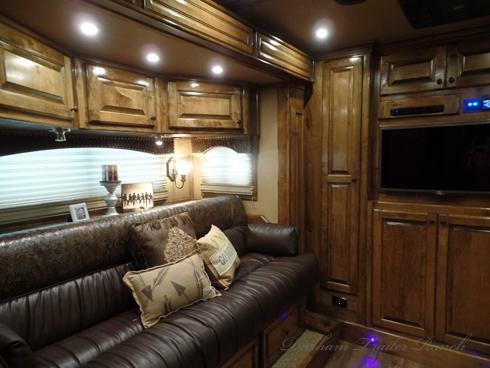 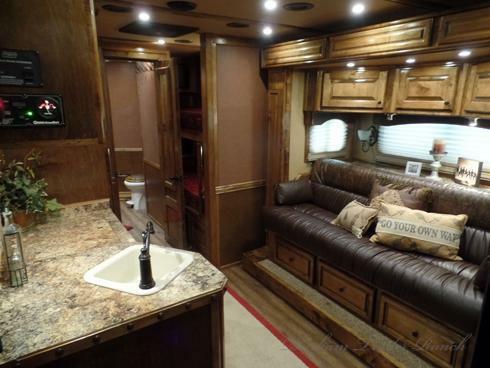 72" Sofa Sleeper, Outlaw Flex Queen in Nose, and 78" Bunk Beds with TVs. 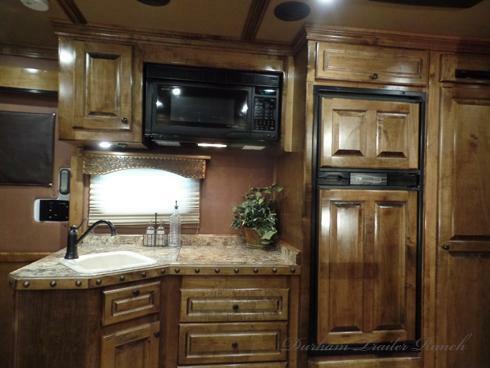 Hardwood Maple Cabinetry Throughout, Kitchen Sink, Recessed Cooktop, Convection Oven, and 6.0 Refrigerator/Freezer. 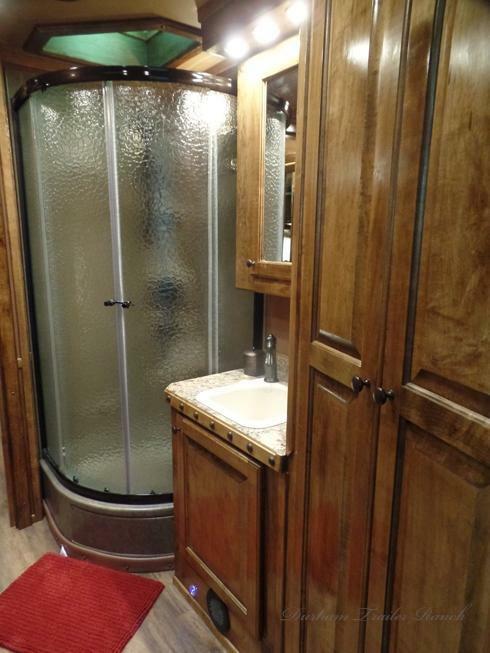 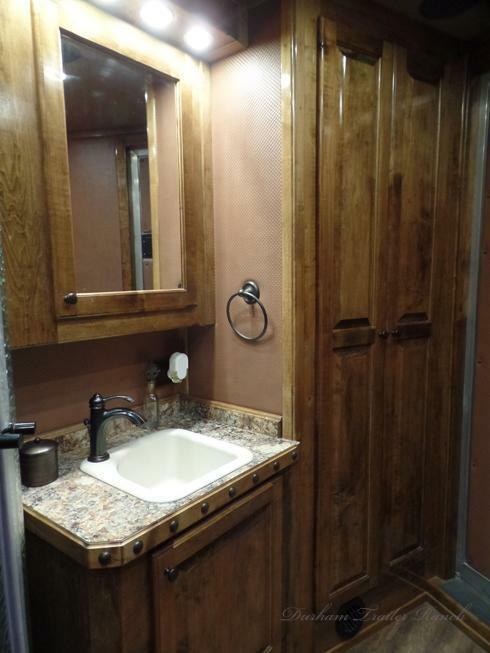 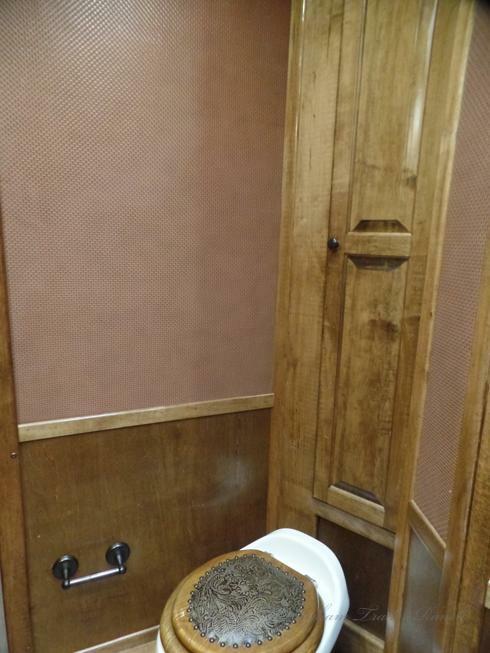 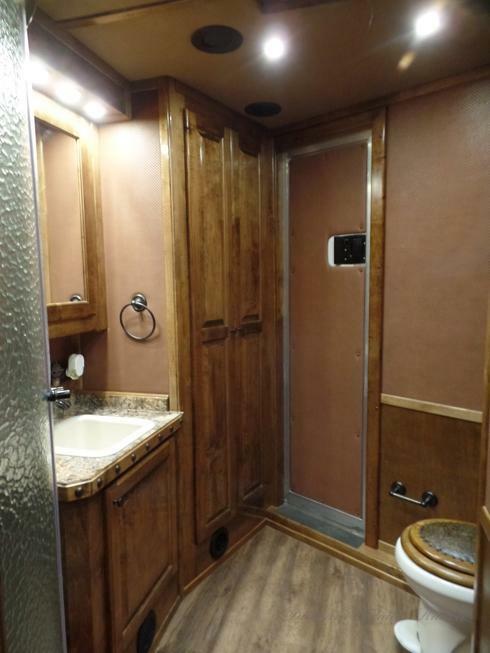 Bathroom Vanity with a Porcelain Sink, Radius Shower, Porcelain Commode, and Large Double Rod Closet. 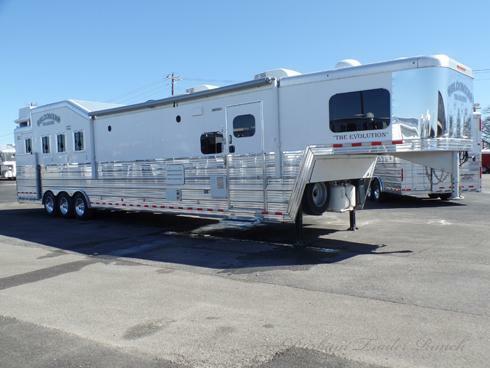 Day/Night Shades, 4 TVs, Satellite, DVD, Stereo with Interior/Exterior Speakers, and 2 AC Units.